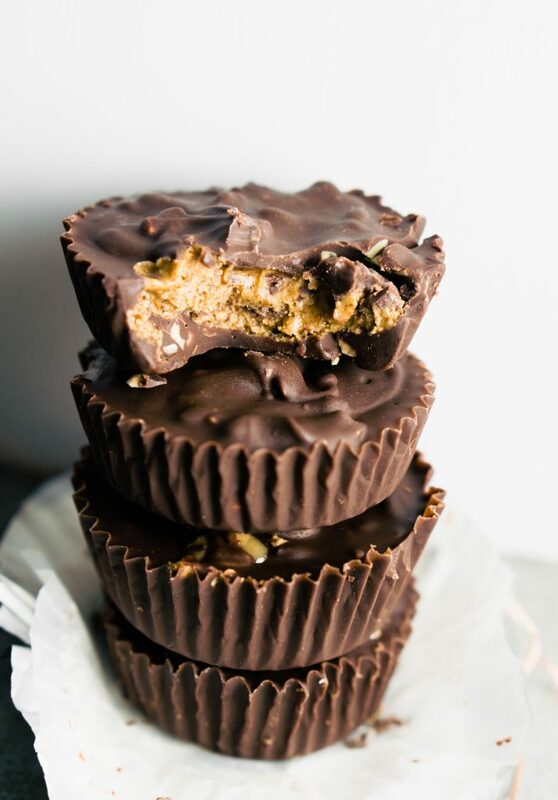 chocolate crunchy almond butter cups (paleo, keto, vegan, & sugar-free) these babies contain only two ingredients.. how is that so? 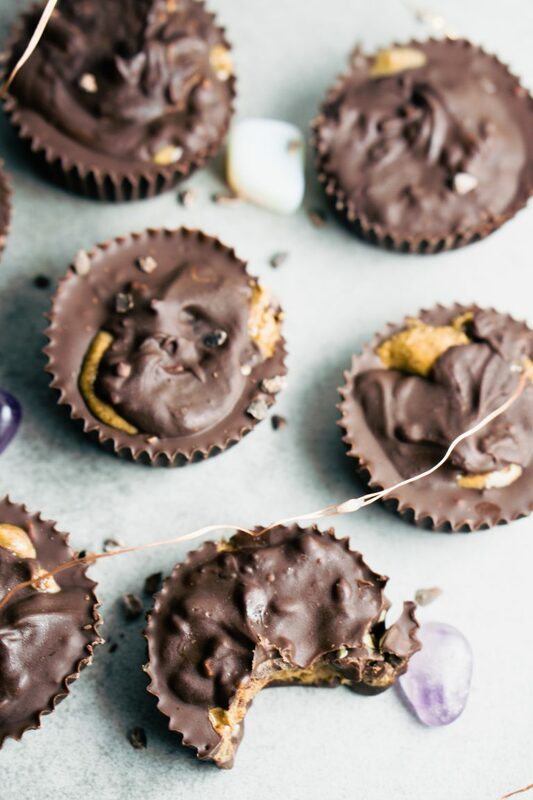 Well, all you have to do is choose your favorite sugar-free chocolate bar to melt ’em and pour them in with almond butter. I made them for my boyfriend who is about to travel out of town for a week. I can’t help it! I love sending him with loads of snacks filled with love. Ha! I know … I know so cheesy! But it’s true food is how I express my love and I also feel better about it because otherwise, I know he will eat something not so good for him just for the sake of eating. Does anyone else go through that with their loves? Make sure he has to have enough healthy snacks just so he doesn’t feel sick later? Well, hopefully, I’m not the only one. 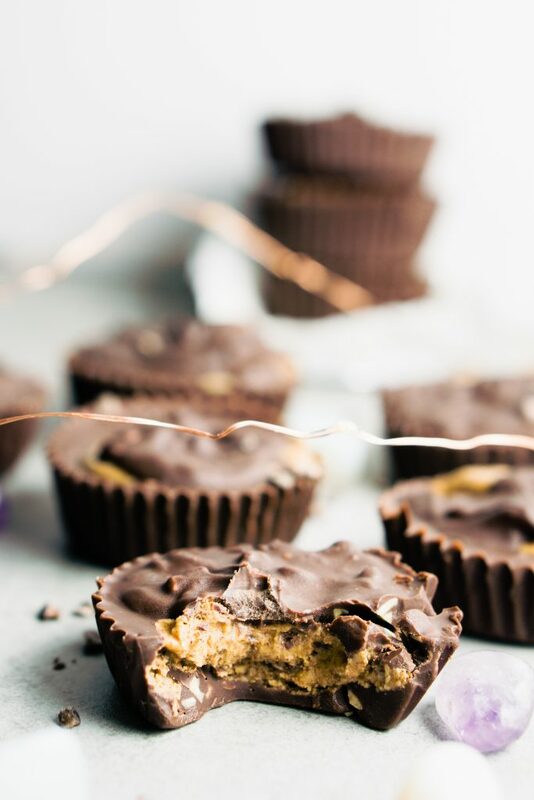 Now let’s get to the gooey details on why he and I love these chocolate almond butter cups so much. They are filled with nutrients with the almond butter and the chocolate is absolutely sugar-free. I personally use Lakanto’s Almond Sugar-Free 55% Chocolate Bars when in a pinch just because I can place them in a double broiler and walk away for awhile. No mixing anything. if you have any chocolate bar or chocolate chips on hand you can replace with the sugar-free chocolate bars I have mentioned in the post. if you only have dark chocolate you can simply any sweetener you like. My favorite is to use raw monk fruit and stevia. meltdown your chocolate in a double broiler. make sure your chocolate is completely melted and scoop into muffin tins. scoop your almond butter out of the jar straight into the middle of your chocolate.